Looking for patterns, trends and discrepancies—most but not all organisms assemble proteins from the same amino acids. Part of the universality of life is the observation that all living organisms construct proteins out of the same pool of 20 amino acids. These 20 were identified in a rapid era of discovery after the development of partition chromatography in 1943. However, this has now been expanded to include two additional amino acids – selenocysteine and pyrrolysine, giving a total of 22 amino acids. Pyrrolysine is rarer, having only been found in some species of Archaeans and bacteria. It is structurally similar to lysine, but with the addition of a a pyrroline ring to the side-chain. It’s role and possible existence in other organisms is the focus of many ongoing studies. Both of these amino acids are not encoded in the DNA – they are instead encoded by the stop codons UGA for selenocysteine and UAG for pyrrolysine and expressed via interactions with specific tRNA molecules, a process known as cotranslation. The biochemistry involved is fairly complex and difficult to summarise for IB biology purposes, but if you are interested the links below are a good place to start. Archaeans and bacteria have developed a mechanism to use a 22nd amino acid, pyrrolysine. Selenocysteine and pyrrolysine are powerful examples of the versatility inherent in the genetic code. (Rother and Krzycki). Like so many aspects of biology, once a rule is determined, the incredible variety of life shows us an exception. What do the authors mean by this? Does this mean that inductive reasoning is not always a reliable form of reason? What other examples from science can you think of to illustrate this quote? Gutiérrez-Preciado, A., Romero, H. & Peimbert, M. (2010) An Evolutionary Perspective on Amino Acids. Nature Education. Accessed on 2 October, 2018. Rother, Michael, and Joseph A. Krzycki. “Selenocysteine, Pyrrolysine, and the Unique Energy Metabolism of Methanogenic Archaea.” Archaea 2010 (2010): 453642. PMC. Web. 2 Oct. 2018. Looking for patterns, trends and discrepancies—plants and algae are mostly autotrophic but some are not. This is another NOS post that deals with the never-ending exceptions that arise whenever we seem to encounter a biological rule! Back in Topic 5.3 (Classification) we learn that Kingdom Plantae is defined as containing organisms that are multicellular, photosynthetic and eukaryotic. Photosynthetic cells implies that the organism is autotrophic, but it turns out that this is not always the case! The obvious exception would appear to be the carnivorous plants, such as the Venus Fly Trap (Dionaea muscipula) or the pitcher plant (such as Cephalotus sp.). However, these plants retain their photosynthetic abilities and can even be raised successfully without providing any insects for them to eat (Rice). According to Rice (2007), this makes them only partially heterotrophic, as they still derive a large proportion of their energy from photosynthesis. The true heterotrophic plants are those that are parasitic or saproptrophic. A great example of a parasitic plant is Rafflesia arnoldii, the plant that produces the largest flower in the world. It is a parasite of certain jungle vines and produces no roots, shoots or stem. In fact, it is only visible when it flowers. It gains all its nutrition through its parasitism of the host plant. Similarly, there is a bewildering diversity amongst algae of organisms that are facultative and obligate heterotrophs. Many of these species have, like Rafflesia, become parasites, such as the genera Helicosporidium and Prototheca. Others, such as the fascinating genus Polytomella, have four flagella and are motile heterotrophs. As always, biology refuses to be put into a box! Davis, Troy. “ Fully Open Flower of Rafflesia Arnoldii.” Rafflesia Arnoldii Robert Brown, Southern Illinois University, 29 Oct. 2010, parasiticplants.siu.edu/Rafflesiaceae/Raff.arn.page.html. Rice, Barry. “Are Carnivorous Plants Autotrophic or Heterotrophic?” The Carnivorous Plant FAQ: Autotrophic or Heterotrophic?, Jan. 2007, http://www.sarracenia.com/faq/faq1100.html. “The Albany Pitcher Plant.” Cephalotus Follicularis – the Albany Pitcher Plant, Botanical Society of America, botany.org/Carnivorous_Plants/Cephalotus.php. “Venus Fly Traps (Dionaea Muscipula).” The Mysterious Venus Flytrap, Botanical Society of America, botany.org/bsa/misc/carn.html. Looking for patterns, trends and discrepancies—there are common features in the bone structure of vertebrate limbs despite their varied use. This Nature of Science statement fits neatly into the syllabus content for this topic. One of the applications for 5.1 is – “Comparison of the pentadactyl limb of mammals, birds, amphibians and reptiles with different methods of locomotion.” (IBO, p67). Thus understanding the importance of the pentadactyl limb as an example of a homologous structure should allow you to understand it as an example of seeking patterns, trends and discrepancies. All amphibians, birds, reptiles and mammals descended from a common ancestor that had a tetrapod (4-legged) body plan and lived some 360 million years ago. However, as the different vertebrate groups then radiated outwards, this basic structure became adapted for different functions, some more radically than others. Snakes have lost their legs, birds developed their forelegs into wings and whales and icthyosaurs returned to the water, with fore limbs adapted for paddling. However, despite these differences in function, an analysis of anatomy shows the same underlying structure. As Stephen Jay Gould wrote, “Why should a rat run, a bat fly, a porpoise swim and I type this essay with structures built of the same bones unless we all inherited them from a common ancestor? (Gould, 258). Gould, Stephen Jay. Hen’s Teeth and Horses Toes. New York, Penguin. 1990. Print. “Homologous Tetrapod Limbs (4 Of 6)”. Evolution.berkeley.edu. University of California, Museum of Paleontology, 2016. Web. 24 May 2016. IBO. Biology guide: First assessment 2016. Cardiff, IBO. 2014. Print. Looking for patterns, trends and discrepancies—patterns of chromosome number in some genera can be explained by speciation due to polyploidy. Polyploidy is a condition of possessing more than two sets of chromosomes. This duplication typically occurs during meiosis and may result in triploid (3n), tetraploid (4n) or even hexaploid (6n) offspring. This sounds potentially devastating (think of the effects of just having one extra chromosome!) but is thought to be a key driving factor in speciation in some organisms. Up to 1 in 100,000 flowering plants are polyploid, showing a high degree of tolerance. In fact, over 75% of flowering plant species may be recent polyploids! Common polyploids include potatoes, bananas, cotton, wheat and watermelon. Although it also can occur in amphibians and fish, mammals and birds are typically less tolerant, with an estimate of 10% of spontaneous miscarriages in humans being due to polyploid embryos (Woodhouse et. al.). it seems to increase asexual reproductive ability, which could be advantageous under some conditions. n.a. Speciation. Bioninja. N. p., 2016. Web. 7 Apr. 2016. Woodhouse, M., Burkart-Waco, D. & Comai, L. Polyploidy. Nature Education 2(1):1. 2009. Web. April 7, 2016. 1.1 Cells – An Introduction Part 1. 1.1 Looking for trends and discrepancies—although most organisms conform to cell theory, there are exceptions. Cell theory states that all living organisms are made of cells, all cells come from pre-existing cells and that cells are the smallest units capable of carrying out life processes. This is based on a huge amount of observation and experimentation involving microscopes. It allows predictions to be made – if a new organism is discovered, say, in a deep ocean vent, we can reasonable expect that it will be made of cells and that these cells are the products of cell division from parental cells and they carry out the functions of life. 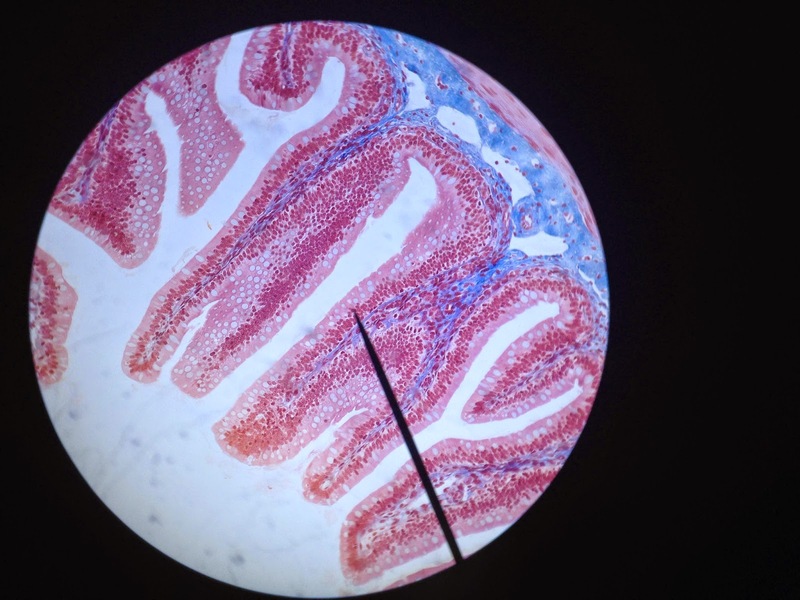 What makes biology interesting, of course, is that there are so many exceptions to the rules. Muscle cells, fungal hyphae and giant algae are all examples of organisms that do not completely follow the above tenets. However, they do not invalidate the theory. These cells do, to varying degrees, come from pre-existing cells and are part of a living organism; they carry out life processes, have genetic material and a plasma membrane. The overwhelming evidence to date supports the Cell Theory. 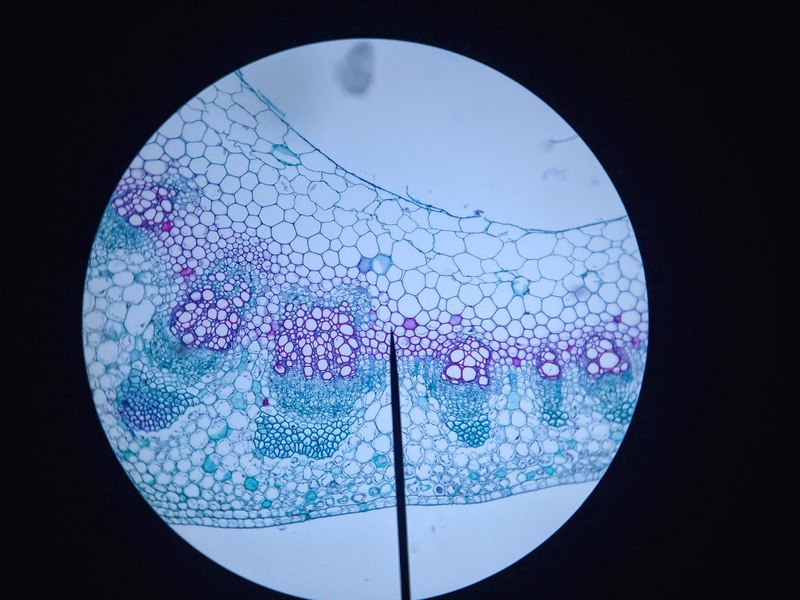 Images courtesy of Grade 11 IB Biology students. Mindorff, David, and Andrew Allott. Biology Course Companion. 2014 ed. Oxford: Oxford U, 2014. Print. Taylor, Stephen. “2.1 Cell Theory.” I-Biology. N.p., n.d. Web. 9 Dec. 2014. <http%3A%2F%2Fi-biology.net%2Fibdpbio%2F02-cells%2Fcell-theory%2F>.